High quality: This newly designed blade is sharper and stronger using improved high carbon stainless steel and advanced manufacture technique which provides highest strength, corrosion resistance, and wear resistance. 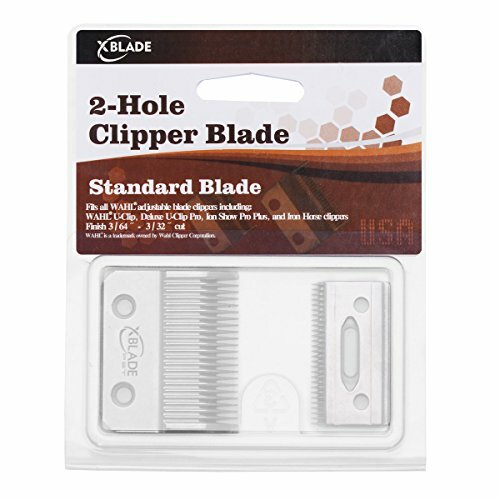 Professional commercial grade for all animals: the standard 2-hole Clipper Blade is designed for professional use and delivers superb performance. Ideal for clipping and trimming on all animal coats, including dogs, cats, horses and livestock. Each unit is fully tested for compatible models. Please follow the instructions for assembly. If you have any questions about this product by XBLADE, contact us by completing and submitting the form below. If you are looking for a specif part number, please include it with your message.